HC Controls have over 30 years experience designing and supporting aero engine test facilities. 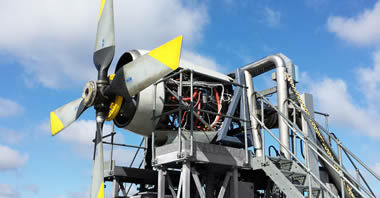 Facilities include turbo-shaft, turbo-prop, turbo-fan and turbo-jet. 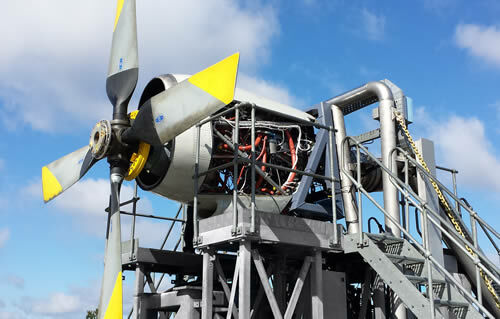 We Have experience in both enclosed, Uninstalled Engine Test Facilities (UETF) and installed QECU configurations; outdoor Mobile Engine Test Systems/Stands (METS). Working with Original Equipment Manufacturers (OEM) and end users, we are able to provide impartial design advice which is often invaluable to our customers. HC Controls have experience in design solutions for both green and brown field building locations, providing planning guidance and program management services. Our engineers have many years experience in operating aero engine test facilities, this enables us to provide unique operator focused design solutions for the test facilities benefiting our customer operations. We provide an impartial approach to facility design, which is often necessary to bridge the gap between the OEM and the end users post overhaul operational testing requirements. Our engineers can provide engine test facility training and calibration programs to ensure the facilities are operated safely and correctly. We work closely with customers on both conceptual and detail designs for aero engine test facilities. 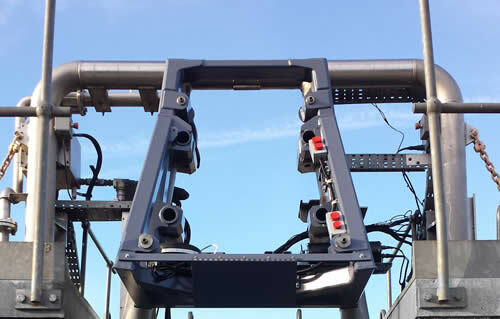 HC Controls Has experience in both enclosed, Uninstalled Engine Test Facilities (UETF) and installed QECU configurations; outdoor Mobile Engine Test Systems / Stands (METS). Working with Original Equipment Manufacturers (OEM) and end users, we are able to provide impartial design advice. HC Controls have experience in design solutions for both green and brown field locations, providing planning guidance and program management services. Our engineers have many years' experience in operating aero engine test facilities and test cells. This enables us to provide focused design approaches to fulfill the end users requirements. We provide an impartial approach to facility design, which is often necessary to bridge the gap between the OEM and the end user. Our engineers can provide engine test facility operation and maintenance training and calibration programs to ensure the test facilities are operated safely, correctly and produce accurate results. Specialists in providing test facility upgrades, removing obsolete instrumentation and replacing with modern, user friendly solutions to increase the life and usability of the customer test facilities. During the last 30 years HC Controls engineers have been responsible for the design, installation and commissioning of many different aero engine test facilities. Indoor and outdoor; installed, uninstalled; turbo-fan, turbo-prop, turbo-shaft and turbo-jet. HC Controls have experience in design solutions for both green and brown field locations, providing planning guidance and program management services. Our engineers have many years' experience in operating aero engine test facilities and test cells. This enables us to provide focused design approaches to fulfill the end user's requirements. We provide an impartial approach to facility design, which is often necessary to bridge the gap between the OEM and the end user. Our engineers have vast experience in designing and supporting engine test solutions for the T56-A-15, in both the bare (uninstalled) and the QEC (installed) configuration. Our experience covers test facility design, instrumentation and control for both engine and facility, design and development of the application test software and overall program management for turnkey test facility solutions. 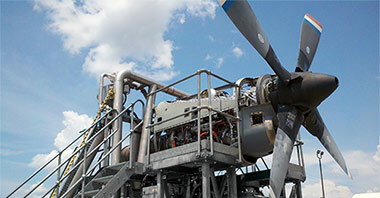 Additionally our engineers have provided test facility operation, releasing the owners from the complex task of operating and maintaining a modern engine test facility. HC Controls has been responsible for developing a complete test solution for the T56-A-14 engine in both uninstalled and QEC configuration. Our engineers provided conceptual and detailed facility design, total instrumentation and control and application software development. 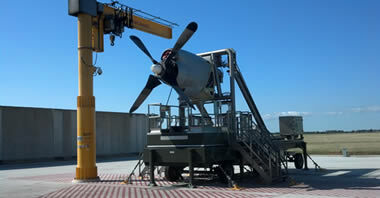 An existing customer's test facility was modified to allow the P-3 Orion QECU to be installed and tested. Our design provides fast conversion and ease of operation for the test facility operators. The adaption also provided full test and evaluation functions required to test the new series 3.5 engine; the first facility in the world to test the series 3.5 within the QECU! Our engineers were responsible for the conceptual facility design, which enabled our customer to obtain planning permission to build an aero engine test facility within a restricted area. Our engineers designed the instrumentation control system and the application test software. We were responsible for the facility commissioning, correlation, training and follow-on support. A mid-life facility upgrade was completed, including the installation of a new data acquisition system, updated software and control systems. Following the upgrade a successful engine correlation was performed with Honeywell in Phoenix. HC Controls were responsible for all data collection and report generation to complete the correlation process. Our engineers developed application test software for this widely used engine type, in both the uninstalled and the QEC configuration. A touch screen engine control application was also developed. Continual operation support is provided for maintaining the test facility in accordance with changing test requirements and documentation. HC Controls' engineers were responsible for the full instrumentation and control design, application test software, installation and commissioning for an Adour Mk871 turbofan aero engine test facility. Responsibility included design, installation, commissioning, training, OEM correlation and full in-service support. We successfully correlated with Rolls Royce, providing the customer with confidence in the engine test results and enabling revenue generating third party testing to be performed. Our engineers were responsible for liaising with the OEM and the end user to ensure the facility design met the requirements of the end user. Our engineers designed, installed and commissioned the instrumentation and control system, application test software and the PLC engine/facility control. Complex, reliable and user friendly software was installed to allow the users to safely control and test the engine and verify all the tests were completed correctly. Responsibility included design, installation, commissioning, training, OEM correlation and full in-service support. HC Controls have an excellent history of upgrading existing aging engine test facilities to become modern productive facilities, providing greater accuracy, repeatable and reliable engine tests. Our custom solutions include adding fully computerized test equipment and user controls. We utilize the latest Data Acquisition systems (DAQ), Programmable Logic Controllers (PLC), vibration suites and fully prompted Application Test Software (ATS). HC Controls’ software engineers develop custom software applications to meet our customer’s unique requirements, whilst maintaining proven core modules. This approach ensures the software remains robust and reliable whilst also offering flexibility of user design and interfacing requirements. Our customers are consulted during all phases of facility upgrades ensuring all their technical and commercial requirements are achieved. Upgrades range from structural and comfort modifications to full control room upgrades including new control consoles, wiring, instrumentation and control and fully computerized solutions. HC Controls is proud of its heritage in engine test facility design installations and that all of our projects have gained OEM approval and correlation. Solution: Design, install and commissioned an adapter plate to allow the P-3 'QEC' to be installed on the existing C130 QEC mounting frame. The new adapter plate mounts to the existing test facility without the need to modify the existing mounting frame. This approach reduces facility downtime, maintains design and structure integrity and meets the design brief. The new design is easy to install, less than 15 minutes; provides easy access to the engine, does not cause heat build-up like other designs and uses a simple, reliable commercially operated cooler flap. Design, install and commission P-3 Orion QEC adapter. Design, manufacture, install and commission of new instrumentation and control circuits. 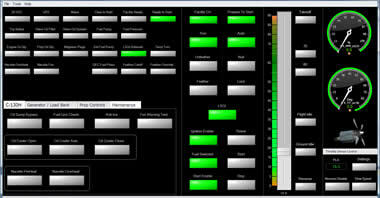 Modifications to engine control panel software. 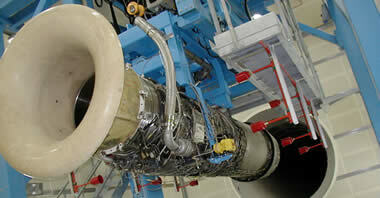 Modifications to engine test software to include new test procedures. Modifications to operation and maintenance manuals. 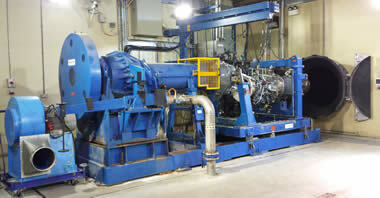 HC Controls provide customers with engine test facility support options tailored to individual requirements. Select from the following headings for more information. Our engineering support staff travel to customer test facility locations to provide on-site engineering support. When required, we provide permanent or semi-permanent technical assistance engineering staff, who remain at the customers facility for daily support functions. Engineers are available to perform physical diagnostic or maintenance functions, as well as assistance with running the engines on test. Our on-site engineers comply with all local health and safety regulations when performing on-site work. Call-out service plans are arranged to provide the customer with the level of support required. These can range from same day, next day or at agreed times to suit the customer. HC Control's remote support capability provides customers with knowledgeable, experienced engineers, capable of resolving many support requirements remotely. Our support engineers are available to be contacted by phone, email and fax. We also provide Online remote support where our engineers remotely connect to the test facility control room computer to diagnose problems or offer operator guidance. Online net-meetings can be arranged to provide operators and managers with remote support and/or training on the test facility or systems. This has proved to be a valuable tool when a virtual face-to-face approach is required to discuss technical issues and new testing requirements. Software upgrades and patches are able to be accomplished via the Online remote support function. HC Controls offers various Follow-On support options tailored to our customers requirements. Follow-On support can range from annual calibration, routine maintenance, remote support to supplying a technical representative. Some of our customers prefer to have the convenience of having a full time technical representative stationed at their engine test facility to support the local operators. Contact your HC Controls point of contact for more information on this service. Routine calibration and maintenance support plans enable our customers to focus on their core business knowing their test facility is maintained correctly and always in calibration. Our engineers perform on-site calibration of the complete data system and also arrange for required instruments to be calibrated at laboratories, as required. All our equipment is traceable to national standards providing the required confidence in the calibration results. Maintenance schedules are developed for the test facility and our engineers perform all the required functions, documenting the actions and findings for the customer. Our experienced software developers provide software upgrades to the test facility performance analysis and engine/facility control software. Our engineers are experienced in desktop, mobile and tablet software development and process control platform development applications (PLCs). All of our software is developed and maintained in accordance the BSI software TickIT quality system, providing traceable quality software production. Online and off-line 'help' documentation is supplied with all our software products. The help systems are integrated with the software enabling the users to get instant guidance on the correct use of the software. Many aero engine test facilities require periodic software upgrades to conform with the latest engine manufacturers test procedure amendments. HC Controls have many years experience in providing software upgrades to our customers. We provide on-site operator training on test facility operation and maintenance procedures. Training programs are designed for all levels of operator experience and include test facility familiarization, operation, on the job training, maintenance and calibration. Training programs are tailored to the customer requirements and can include classroom theory through to hands-on training with the actual equipment that the operators will be using. All documentation is available in both soft and hard formats.